One of the best ways any business startup can accelerate growth, and productivity, and at the same time curb failure is through the use of mentorship. Mentorship can be applied to yourself as the business owner and to your team as a whole. All of these itemized benefits above, are an excellent way for you and your business to grow in all aspects. The market environment in Dubai is on the rise, and with a ground-breaking development all around, mentorship is a viable option all startups should embrace. Mentoring Benefits in Business StartUps. Implementing a crucial business strategy such as mentorship, can help you and your business stay ahead of your competitors, and make you a more lucrative proposition. Investors are always on the lookout for what makes your business worth their money and cultivating a mentorship culture in your startup is one effective way to show them that you mean business. What a Mentorship culture highlights in any business setup is a network of integrity and trustworthiness, and both are characteristics that investors look at for as it shows a platform for continued success and growth. Mentoring shows characteristics that limit the risk of failure and enhance productivity and success. We as a Dubai Business Consultants help you in every regard to Set Up Your Business in Dubai Professionally and Easily. One of the major reasons why you have to implement mentoring as part of your business structure is the role it has to play on recruitment. Providing mentorship opportunities is an added bonus to prospective employees as it has been proven to promote employees career prospects. Providing a chance for people to be mentored in your business, helps you attract the best talent for the job, and also ensure job offers are accepted. Dubai is set to become a smart city by the year 2020; your company has to be primed and ready for this technological advancement. The best way to prepare your business for this incoming tech world, is to ensure your next batch of employees are well adept to all the technological nitty-gritty, so that they can mentor your more established employees (above 30+ employees), an, in turn, the older employees can show your younger intakes what it takes to work in your business. This two-way mentorship means your business is ready for the future. Several research studies show how mentoring alleviates mental stress in a business environment. 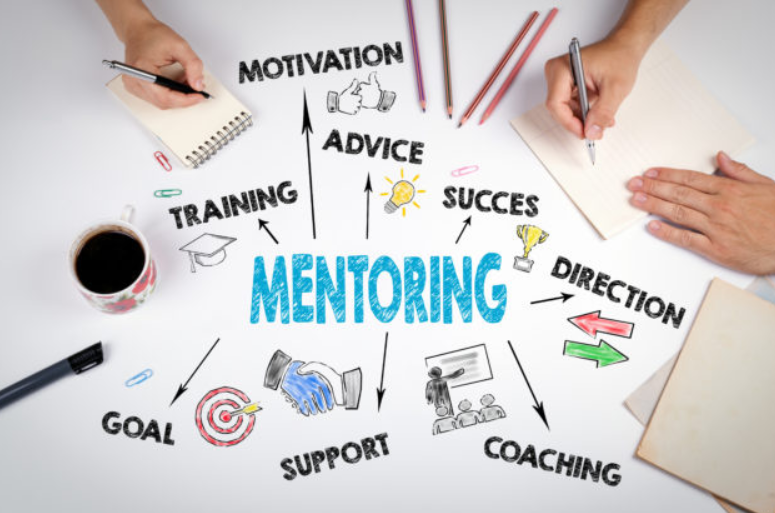 Mentoring is a crucial asset to any business environment, and when used rightly, it can help shape your business, and produce amazing results.